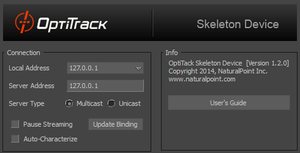 When streaming skeleton data, bone naming convention formats annotations for each segment when data is streamed out. 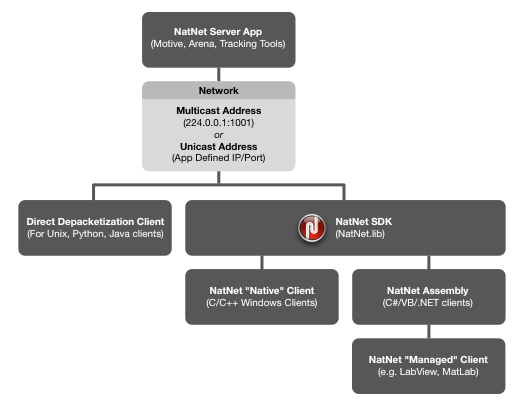 The appropriate convention should be configured to allow a client application to properly recognize segments. 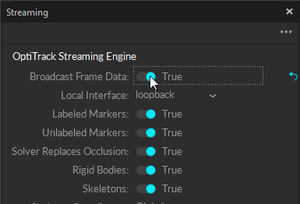 For example, when streaming to Autodesk pipelines, the naming convention should be set to FBX. 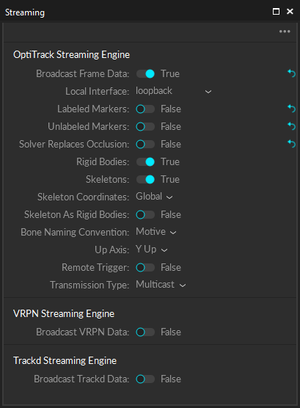 If you are also using exported tracking data (FBX) to animate a character in certain scenes, you will need to use the matching convention in the streaming settings so that it can properly recognize the naming convention used in the character. 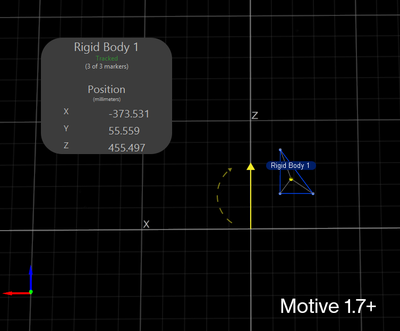 Motive (1.7+) uses a right-handed Y-up coordinate system. However, coordinate systems used in client applications may not always agree with the convention used in Motive. In this case, the coordinate system in streamed data needs to be modified to a compatible convention. 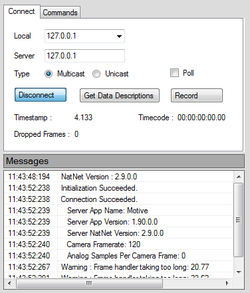 For client applications with a different ground plane definition, Up Axis can be changed under Advanced Network Settings. 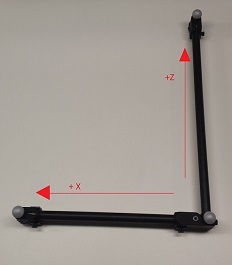 For compatibility with left-handed coordinate systems, the simplest method is to rotate the capture volume 180 degrees on the Y axis when defining the ground plane during Calibration. This page was last modified on 30 April 2018, at 13:46.